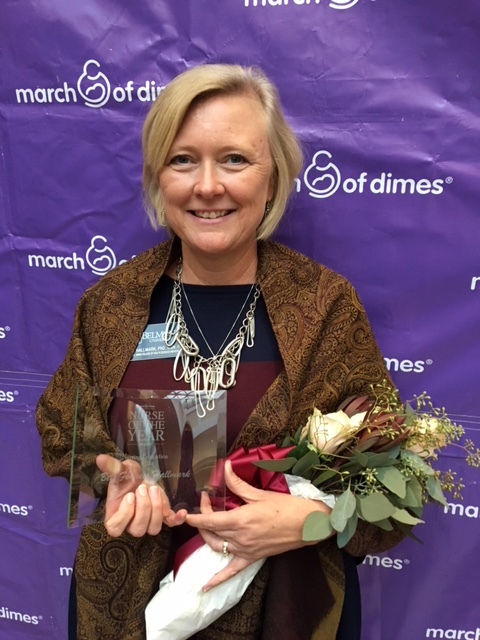 Dr. Beth Hallmark, assistant professor and director of simulation in the College of Health Sciences and Nursing, was recently recognized as the March of Dimes Nurse Educator of the Year. The announcement was made at the organization’s annual Nurse of the Year Awards Luncheon held on Wednesday, November 1 at Belmont. Held to honor nursing excellence and pay tribute to the tireless efforts of nurses throughout the community, the Nurse of the Year Awards recognizes nurses who are nominated by their colleagues, supervisors or the families they have served. The ceremony celebrates the nursing profession and recognizes the most outstanding nurses in several categories including Nurse Educator of the Year.